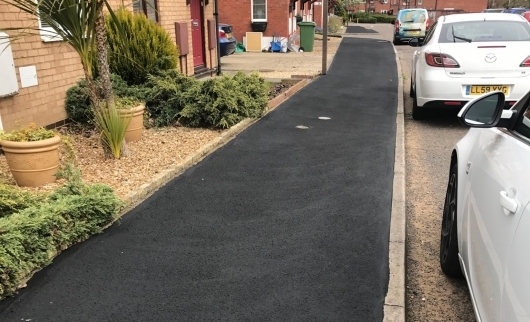 The objective for the authority is to maintain the existing footways/cycleways to a condition that enables them to function effectively, provide a safe surface for users and eliminate the backlog of repairs to ensure that the asset is managed in the most cost effective way. Milton Keynes has 1450 kilometres of footways and 350 kilometres of redways. Milton Keynes 'new town' footway and redway network was constructed within a relatively short period of time (1969 to 1994), this network is unique in that its primary footways in the early urban areas follow a gridded modular pattern within estates that are disected by the high speed grid road system. Central Milton Keynes is quite unique in that all footway surfaces are constructed from a silver grey granite faced paving flags again following the grid system of design and construction. Later estates follow a more traditional design but are still constrained within the modular boundaries. Each estate has contained within it a local centre that provides a centre for retail/community and consequently all the estate footways are ultimately linked into this local centre. 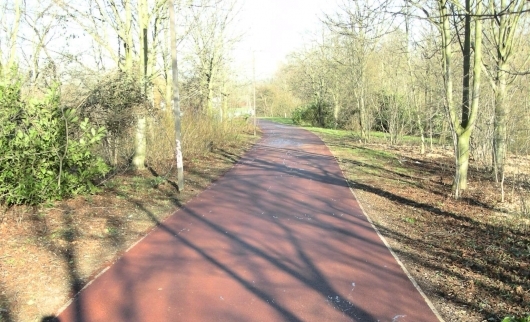 Each modular estate is also linked by cycleways known as 'Redways'. Within the existing older townships that are both incorporated into the 'new town' and those that are outside of the 'designated area' a traditional style of footway is found that follows both older traditional high streets and associated estates constructed from the 1960s onwards. A number of these older townships have cycleway links that connect directly with the 'new town redways' thus ensuring good links. The cycleways are shared use with pedestrians.